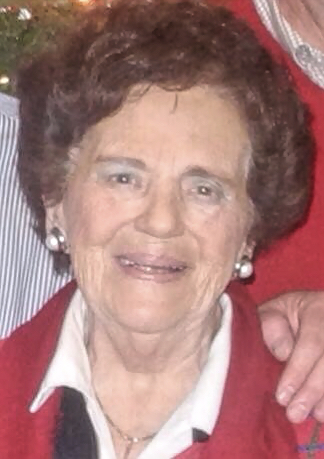 WEST, DORIS ELLEN (nee KLEINFELDER) 91, formerly of Erdenheim and Cheltenham, PA passed away peacefully at Edgehill Nursing Home in Glenside, PA on April 19, 2018. Doris was born and raised in Philadelphia and graduated from Olney High School. Beloved wife of the late Wilbert (Bill) Forrest West and survived by her children David of Westbrook, CT and Deborah (William Winneberger) of Glenside, PA. She will be missed by her grandchildren Brian, Lindsay (James Walsh), Ryan, and Stephen (Jennifer) and two great grandsons. Doris was predeceased by her brother Julius (Bud) Kleinfelder and sister Ethel Fielemeyer. Besides being a loving mother and adoring Mom-Mom to her grandchildren, Doris always kept busy and worked into her 80’s at various organizations including The Data Group, Olney Presbyterian Church, Sears, and Stonehouse Apparel where she worked as an office manager, bookkeeper or administrative assistant. Over the years she also volunteered her time to the PTO, sang in her church’s choir, and regularly worked at the election polls. Relatives and friends are invited to Doris’ Visitation Friday, May 4 from 11 am to 12 noon Craft Funeral Home of Erdenheim, 814 Bethlehem Pike, Erdenheim, PA with a Memorial Service to follow at 12 noon. Internment Private. In lieu of flowers, contributions in Doris’ name may be made to The American Heart or American Stroke Association. For condolences and information, visit www.craftfuneralhomes.com.